Family Health Ministries work in women’s health is based on the priorities of the communities we serve and focuses on cervical cancer prevention and safe motherhood programs. We are best known for our cervical cancer prevention program began in 1993 when FHM founder, Dr. David Walmer, MD, PhD, began a partnership with a fellow Ob/Gyn, Dr. Claude Fertillian, who asked for help in saving Haitian women from preventable deaths. A Clinton Bush Haiti Fund in December 2012 has enabled the program’s expansion to five new sites. 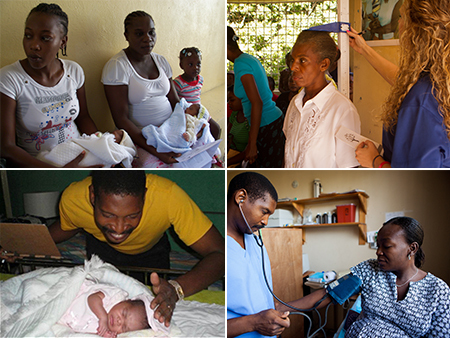 Our Safe Motherhood Program is a result of our collaboration with a Haitian Leogane Women’s Group and their understanding of the urgency to lower maternal and neonatal mortality in their community.